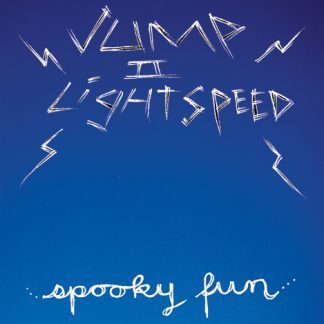 Ben Ely from Regurgitator in his first major solo album under the moniker JUMP 2 LIGHT SPEED entitled Spooky Fun. 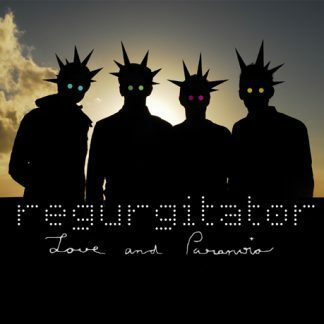 Rocketing in from previous projects Brisbane’s seminal progpunk mayhem of Pangaea, the dub antics of Brokenhead, the powerpunk party that was The Stalkers, he has now landed on his latest pop/rock planetude JUMP 2 LIGHT SPEED. Ben on bass/vocals along with Tim on guitar, Keita keyboards and Steve on drums are a rapidly evolving entity. After tours with SEKIDEN, THE ZOOBOMBS, I HEART HIROSHIMA and THE PANDA BAND, and now hyperdrive on their own album launch tour… get with the ghosts. Warp drive has commenced and the first single YOU ARE MY FRIEND IN FIRE has ignited and rides JJJ’s HIT PICKS at present. Put this little corker into your stereo and instantly you are teleported back to the days of oversized holey jumpers and short sleeves over long sleeves. I wasnât aware how much I missed this era until I was reminded that once upon a time there was music that made you wear orange and green together and lace up your Chuck Taylorâsâ with guitar strings. 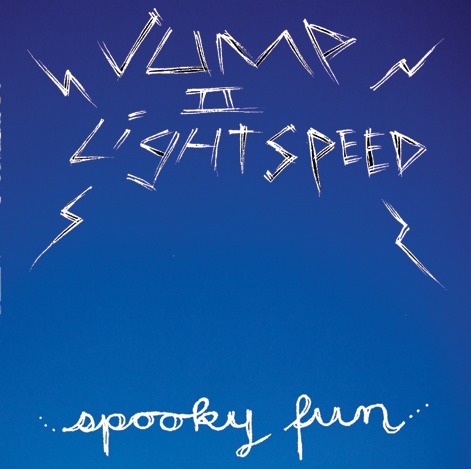 Benjamin Elyâs (Regurgitator, Pangaea) new side project Jump 2 Light Speed has fused into reality with their debut release Spooky Fun which is slowly tempting ears across the nation. Recorded over three months earlier this year Ben not only plays bass, keyboard and guitar on this recording, he also fronts the band vocally and produced the whole thing. Graeme Kent (Grand Fatal) also lends a hand in this recording as does Anouk Ely, (Benâs 4 year old daughter) who is credited with lyrical and vocal input on a few tracks. Talent runs in this family. Keyboards and bass filled, melodic, quirky interludes dot the albumsâ content with welcoming acoustic interruptions breaking holes in its silly naivety. Spooky Fun is fun yet serious at the same time, occasionally feeling like you got busted peeping through a keyhole. 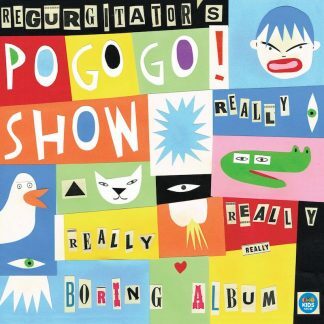 I can hear influences ranging from The Jesus and Mary Chain to DEVO a little bit of Reguritator and a little Jose Gonzales? Well, lets just call it eclectic and you can make up your own mind. I would have to say that my favorite tracks from the album are Telepathy for its similarity to my diary, You Are My Friend And We Are In Fire for its lyrical madness and Heart Beats Fast for its sweetness. With the live line up revolving, Jump 2 Light Speed are doing a run of shows up and down the east coast and have just done a string of shows with Perthâs Panda Band. I have had the pleasure of catching Jump 2 Light Speed live, an occasion where you get the same type of warm, buzzy feeling as you do from the record but with the added bonus of being able to jump about like a crazy person and not look so much like a crazy person.